Join us as we celebrate 25 years showcasing local businesses. This annual event brings hundreds of attendees together each year and this year will be no different! 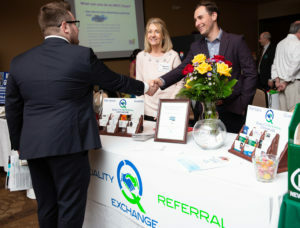 Meet new friends and reconnect with others while showcasing your service or product. We have exciting features planned to celebrate the area’s most well-known and longest running business show! Get months of promotion for YOUR company to an engaged audience. Sponsoring helps you reach hundreds in person and thousands more online. Register below or call the HRCC office at 216-397-7322. Click here for sponsorship agreement. Who should exhibit? 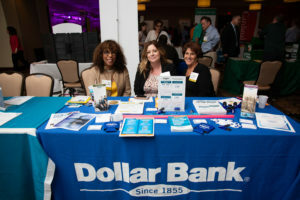 Professionals, retailers, service providers, financial, educational and community organizations, civic leaders, economic development directors, marketers, restaurants and artists; all who are looking to connect with YOU! 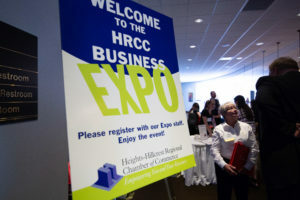 ATTENTION HOME BASED BUSINESS OWNERS – If you have never exhibited at the Expo contact us for special pricing and an exciting new opportunity! 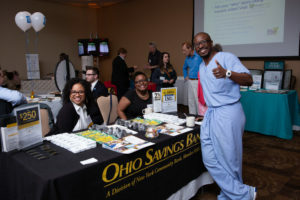 FREE attendance at our April 18 Expo Success breakfast with speaker, Patrice Blakemore of Goldman Sachs. Patrice will be sharing relationship building best practices and attendee follow up after the Show to get the most out of your Expo experience. Register below for your spot in the most talked about Business show in the area! Pay With PayPalIs your total $0?